FDA published final guidance for Menu Labeling on April 29, 2016. 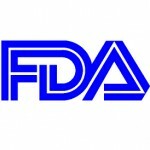 The guidance assists businesses in complying with Menu Labeling final rules, which FDA will begin enforcing one year from when the Notice of Availability (NOA) is published in the Federal Register. NOA is expected to be published in May 2016. Menu Labeling Final Guidance answers many questions that food establishments had posed regarding complying with the upcoming regulations and covers topics including: covered establishments, alcoholic beverages, catered events, mobile vendors, grab-and-go items and record keeping requirements.